Cybercriminals are just as keen to exploit the holiday shopping boom as anyone else, with DDoS attacks on eCommerce providers increasing by over 70 percent on Black Friday compared with other days in November. On Cyber Monday, attacks increased by 109 percent compared with the November average. Cloud anti-DDoS company Link11 has released data showing several attacks observed during Black Friday and Cyber Monday were of up to 100 Gbps bandwidth, and the average attack volume on both days was just under 6Gbps. Attack volumes approaching 6Gbps far exceed the capacity of most websites. Link11 is warning online merchants, payment providers and logistics companies to anticipate further large-scale attacks in the run-up to the Christmas break. "The eCommerce industry has high expectations of the Christmas trading period, and both criminals and competitors will take this as an opportunity to cause disruption to or extort the e-commerce industry," says Marc Wilczek, managing director of Link11. "The growing 'cybercrime-as-a-service' sector favours this development. Online retailers should take action now to strengthen their IT security defences against DDoS attacks, in advance." 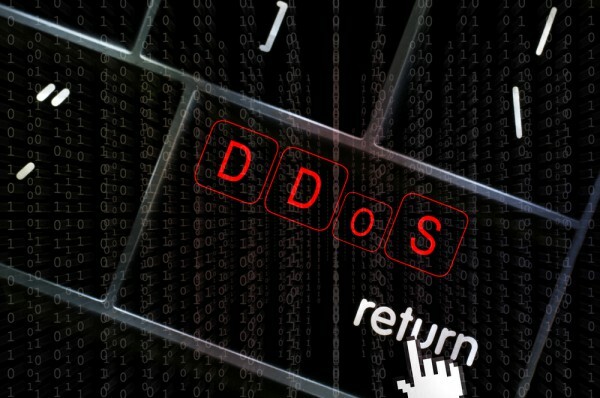 Businesses can invest in expanding their infrastructure to absorb peak loads with their own resources, however, DDoS attackers are usually one step ahead of their victims in being able to deliver large-scale attacks to overwhelm services. Wilczek adds, "Forward-looking companies will benefit from investing in scalable, cloud-based protection solutions in order to counteract targeted overloads caused by DDoS attacks. Information about website and server failures spreads quickly across social platforms as well as complaints about long loading times. All this can contribute to further revenue losses and long-term reputational damage." You can read more about the findings on the Link11 blog.